Does Clean Origin have sales or offer discount codes? We believe our customers are best served through transparent pricing. This means we always offer our best prices up front and there is no need to wait for a “sale” or a “discount” in order to get engaged. How long does it take to ship my ring order? You can expect to receive your ring within 7 to 10 business days. Before shipping it to you, we put each ring through a rigorous inspection and quality assurance process. We always give each ring the same level of scrutiny and take no shortcuts. We know it’s hard to be patient, but trust us, it’s worth it! Unfortunately this is not possible for our rings. Each ring are made per order, making it very difficult to expedite the order. All orders are shipped and insured through FedEx Standard Overnight as soon as it is ready. Can you ship my package to a FedEx location to be held for pick up? Absolutely! Upon Checkout, check the box "SHIP TO DIFFERENT ADDRESS". Make sure that you input your first and last name and your phone number, for pickup and contact purposes. What does setting only mean? When you select "ADD A DIAMOND", it will show you all the diamonds that the ring can accommodate. Can I order only the center stone (no ring)? Absolutely! We make it easy to do so. We have many customers who wish to use an heirloom setting that was handed down through family. 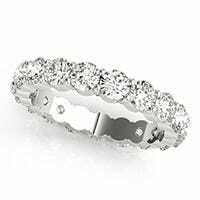 In this case, you can order the center stone and have it set at a local jeweler. Does anything on the shipping box indicate what is inside? No. Our packaging is ultra discrete and consists of a plain brown cardboard box. Inside you will find a cherry wood box that beautifully and securely displays your ring. Are Clean Origin Lab Created diamonds certified by the GIA? We partner with several independent, highly reputable diamond certification laboratories. The two most prominent ones are IGI (International Gemological Institute) and GCAL (Gem Certification and Assurance Lab). Learn more about the certification process here. Why is the cut grade missing from some of your stones? 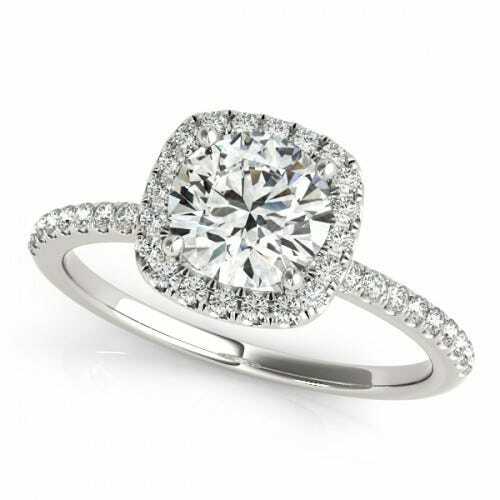 If the shape of the stone is not a traditional round, it may not have a cut grade. There are many ways to cut a Marquis, a Radiant or an Oval stone (to name just a few) in order to play up brilliance and beauty. For this reason, cut grades are not typically assigned to these types of “fancy shape” diamonds. Is there a difference between pink gold and rose gold? No, both terms refer to the same color. How long does it take to ship my loose diamond order? You can expect to receive your center stone within 5 to 7 business days through FedEx expedited and insured shipping. Yes! All of our shipments are 100% insured. Does Clean Origin offer layaway plan? Unfortunately, we currently do not offer that option. However, we do offer financing through Affirm, one of the leading ecommerce finance companies.